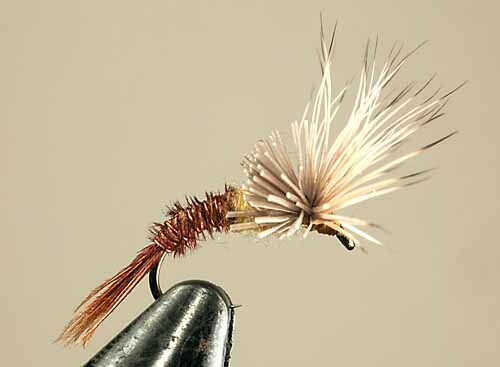 ...trout love these convincing imitations of a insect struggling to hatch. Emergers can be highly effective because they suggest an insect at a very vulnerable stage. 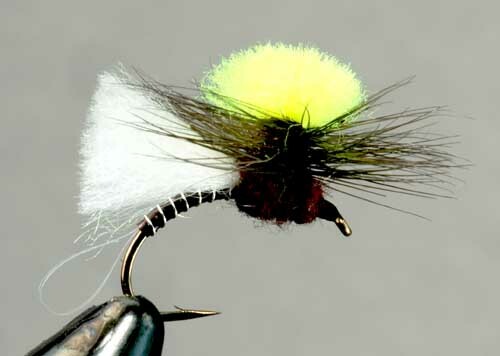 They are ready to take orders, so we've added a link to this page (and to the individual fly descriptions themselves) so that you can go straight to their site and order Skip Morris Emergers directly. 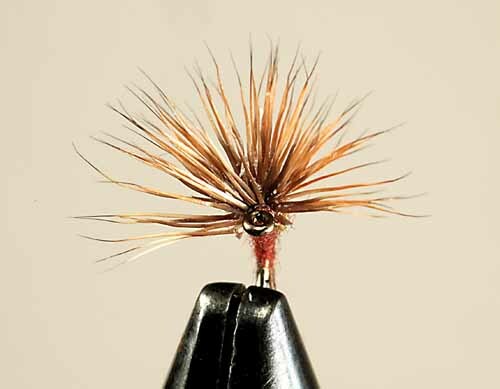 This imitation of a mayfly at its most vulnerable stage—as it's wriggling from its shuck at the surface—is proven on tough trout in Colorado, Montana, Idaho, Washington, Oregon, and British Columbia. It hangs its nymph-half under the water's surface while its front half (which imitates the thorax now free of the shuck) floats. 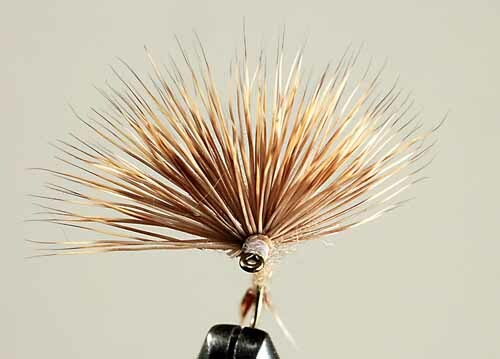 Skip's found his Morris May Emergers as reliable as emerger patterns can be, and longer floating than you'd expect from half-sunk emerger flies—Morris May Emergers are stubborn floaters. For the blue-winged olive mayfly hatch—a common river hatch in the off-season, fall through spring clear across the US and Canada. 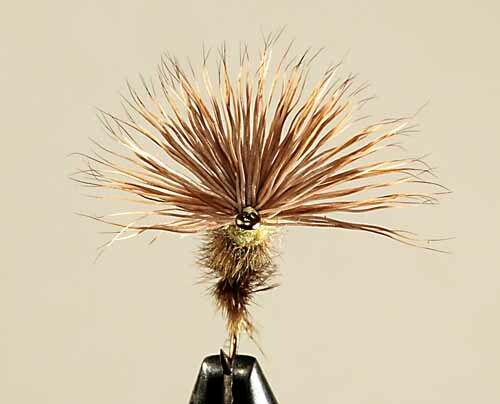 For the sunny yellow pale morning dun mayfly hatch of western rivers, the bread-and-butter hatch of the season from late spring well into fall. 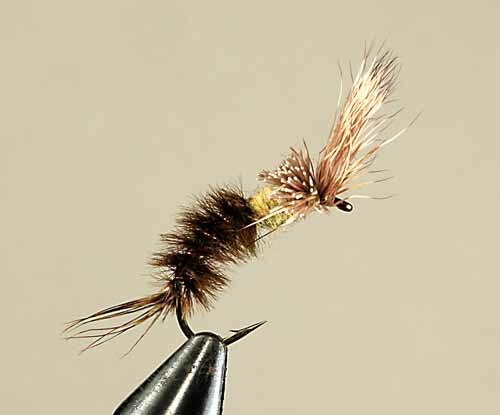 Imitates the big western green drake mayflies of rivers. 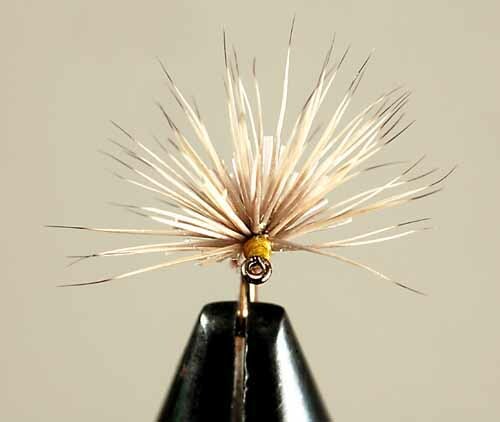 A remarkable hatch that commonly raises big trout to the surface. A spring-summer event. Imitates that standard mayfly of trout lakes, Callibaetis. It's a late spring/summer hatch, and can come again in late summer to fall. Overcast days are best with sometimes big trout swirling on the hatching insects over submerged weed beds. 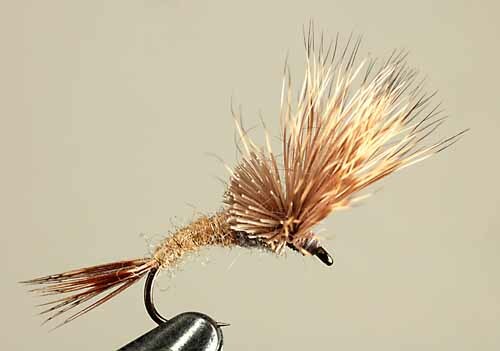 Emerger-flies are ever more popular and deadly effective, and abstract attractor flies sometimes work wonders when imitative flies do little, but strangely, the Thunder Dome may be the only attractor-emerger fly in existence. If there are others, they're certainly hard to find. 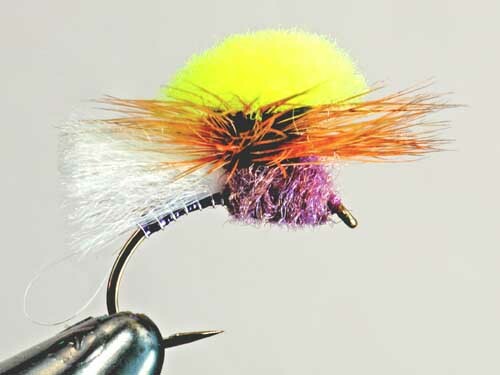 Both the black and purple versions of the Thunder Dome are fine floaters that dangle their flashing bodies and looped shucks below the mirrored surface of the water and display their location to you with bright fuzzy domes up where the trout can't see them. 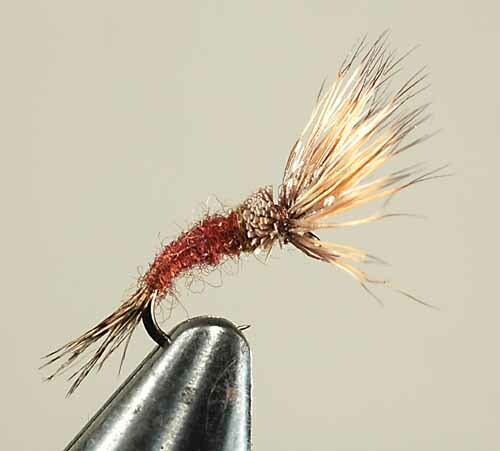 When the time's right for a bright attractor-emerger, a Thunder Dome is really your only choice—and an excellent one.